It's like no other space rock on Earth. It’s taken us 16 years, but we might finally know the origin of one of the strangest meteorites to ever collide with Earth’s surface. Astronomers have found evidence that the Tagish Lake meteorite, which crash-landed in Canada back in 2000, came from the Kuiper Belt – all the way in the outskirts of the Solar System, past Neptune. In January 2000, a fiery meteorite plummeted into the frozen Tagish Lake of northwestern British Columbia, the fireball vaporising much of the car-sized space rock, but leaving enough debris on the icy surface for scientists to collect. “These primitive meteorites are very fragile, more like clods of dirt than hard rocks, and often burn up and shatter,” Clark Chapman from the Southwest Research Institute in Boulder, Colorado, told New Scientist at the time of the discovery. At the time, Chapman and his team suspected that the Tagish Lake meteorite – which looks nothing like any other meteorite found on Earth – might be the most ancient chunk of the Solar System we have. “Its composition is very much like the Sun itself (minus the gaseous compounds) and it shows even less alteration of its minerals than is typical for these kinds of meteorites,” Chapman explained. As part of a huge, bustling Universe, it’d make sense that Earth is coming into contact with space rocks from all corners of the galaxy, but in reality, things from outside our immediate neighbourhood don’t visit us all that much. In fact, of the millions of meteors and meteorites that have made it here, each has been traced to the asteroid belt – which sits just between Mars and Jupiter – except one, the Tagish Lake meteorite. 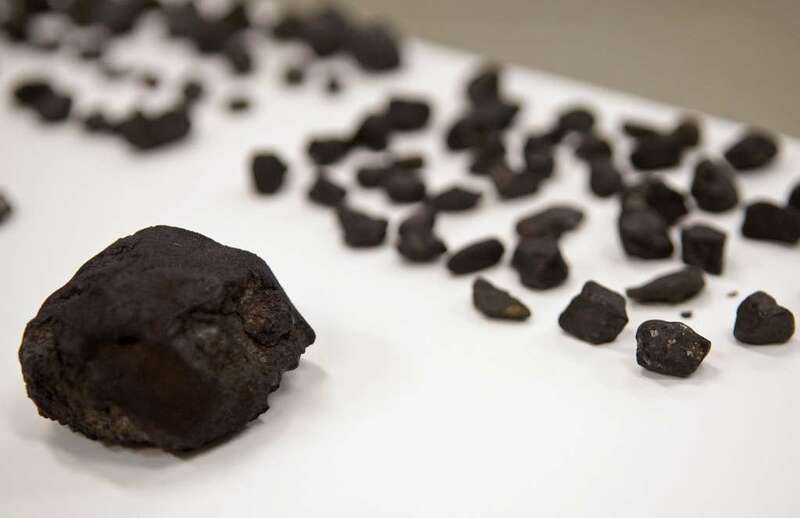 The Southwest Research Institute has just come up with a new hypothesis about the origins of this strange meteorite, and say it could have gotten mixed up in a planet fight some 4 billion years ago. Based on several simulations of the early Solar System, when the giant planets Jupiter, Saturn, Uranus, and Neptune were all jostling each other for position, they suggest that their gravitational pulls might have tossed rocks inward, from the Kuiper Belt into the much closer asteroid belt. A separate study that’s found evidence that a fifth gas giant might have existed in the early Solar System – before Jupiter kicked it out – could make this even more likely. Did our long-lost fifth gas giant seed the asteroid belt with objects from the distant Kuiper Belt? Their hypothesis is backed up by previous research that has suggested that the Tagish Lake meteorite is a piece of D-type asteroid – a class of asteroid with compositions unlike most others found in the asteroid belt, but similar to objects found in the vicinity of gas giants. “Only a handful of the unusual class of rock lurks in the asteroid belt, though the dark samples are abundant around gas giants,” says Taylor Redd. The good news is we might not be speculating for much longer – NASA recently approved a New Horizons mission to visit the Kuiper-belt object, 2014 MU69, so we could soon have some Kuiper Belt material from the source to compare. The study has been published in The Astronomical Journal.